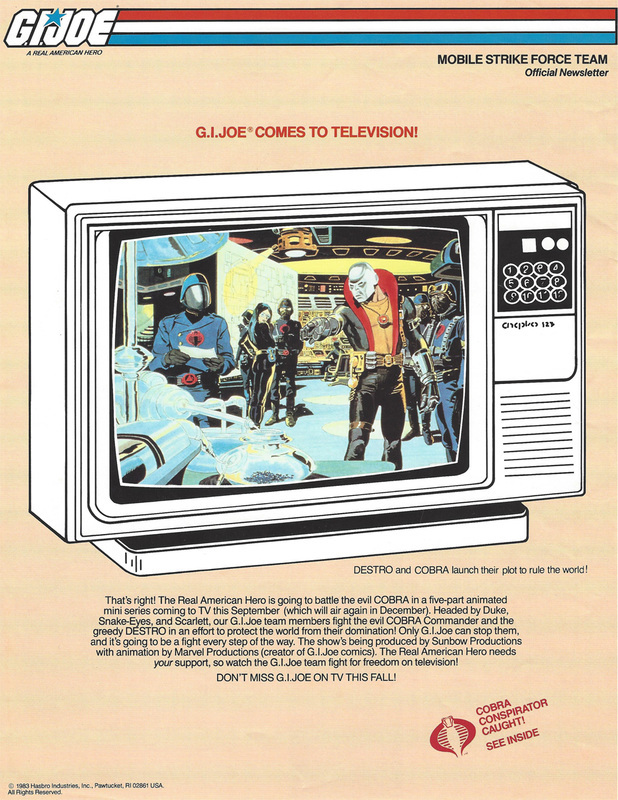 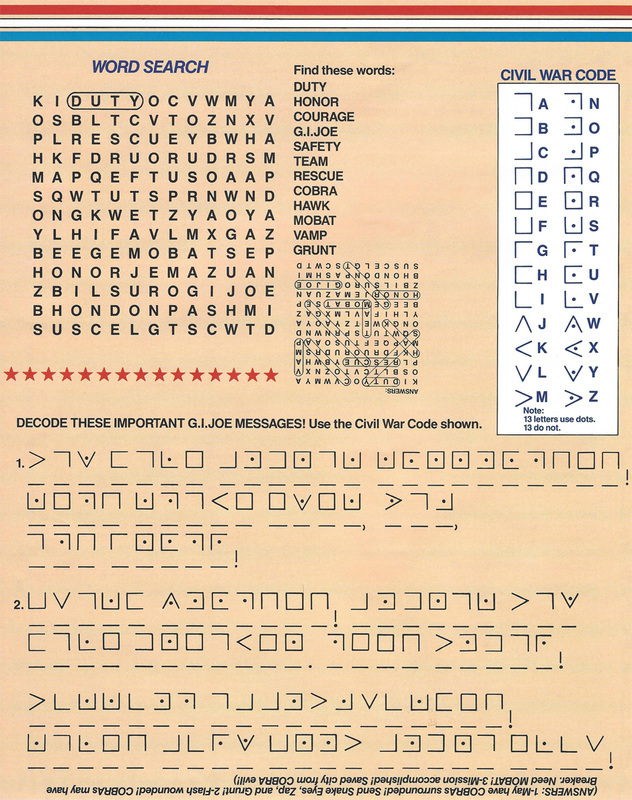 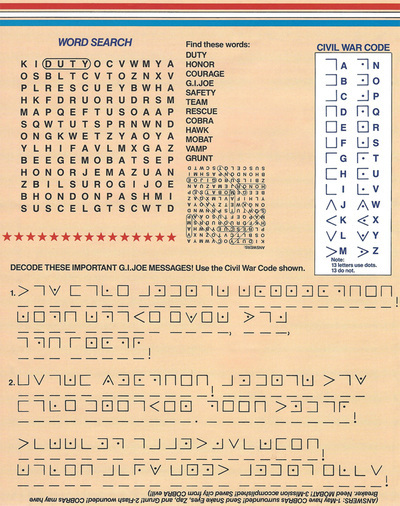 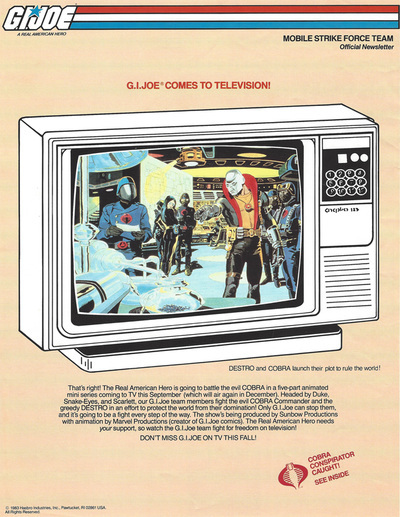 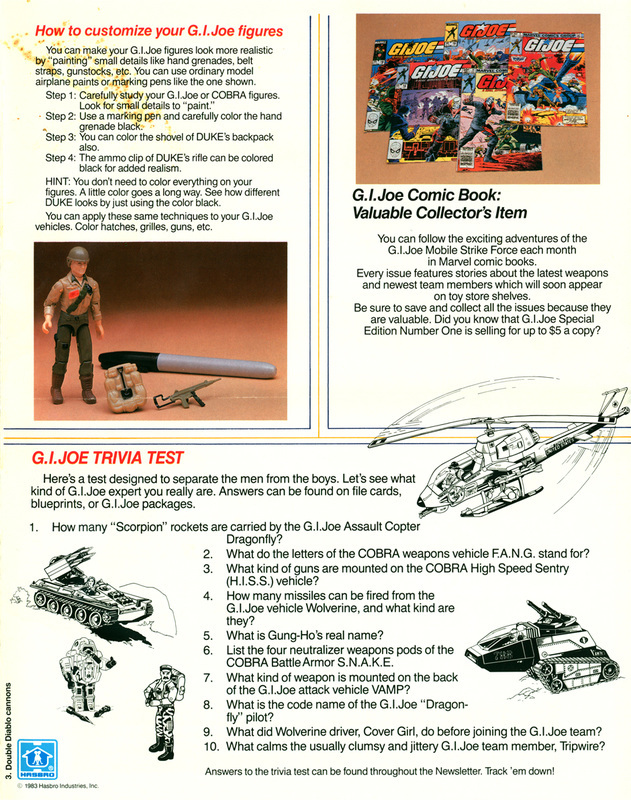 Welcome to the G.I.Joe Newsletters page! 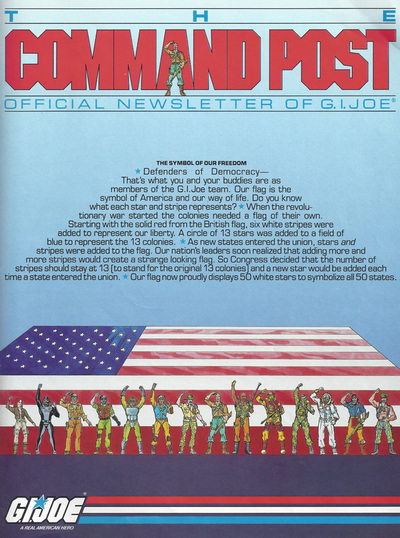 The "Mobile Strike Force Team" and "Command Post" Newsletters are complete! 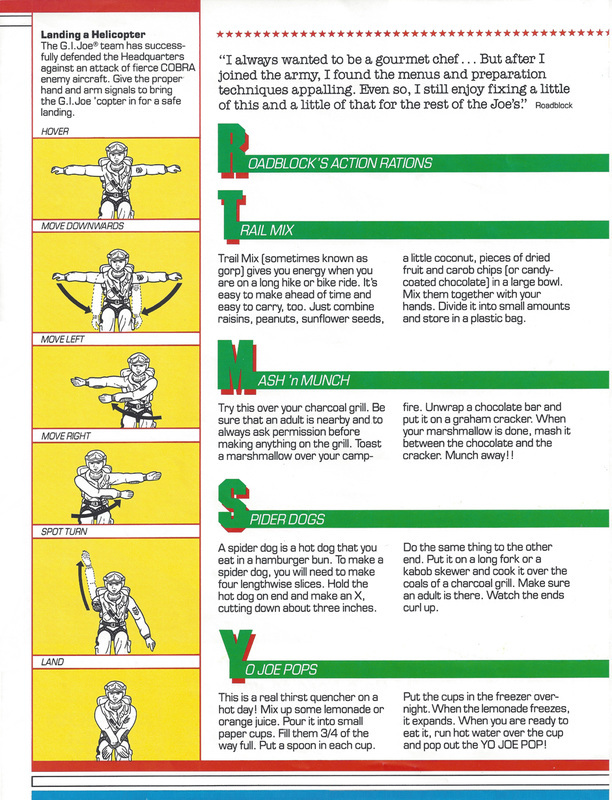 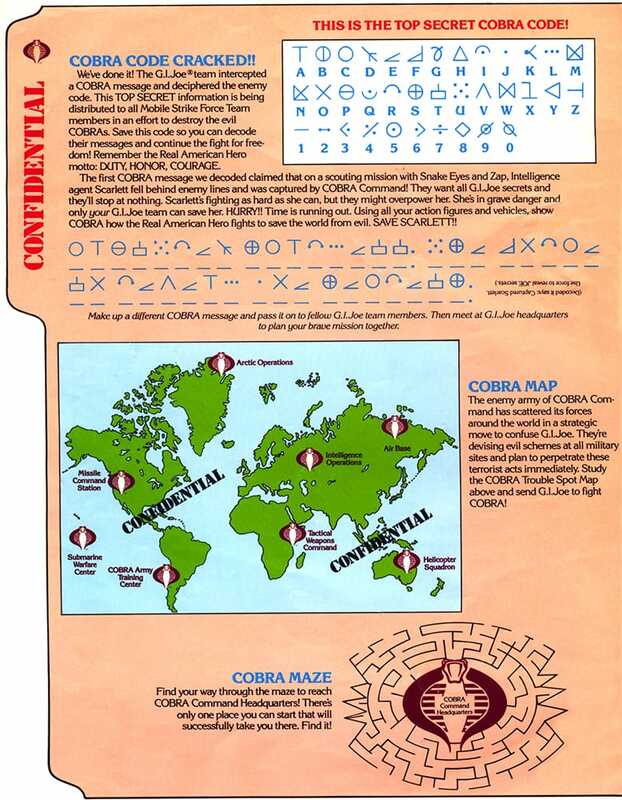 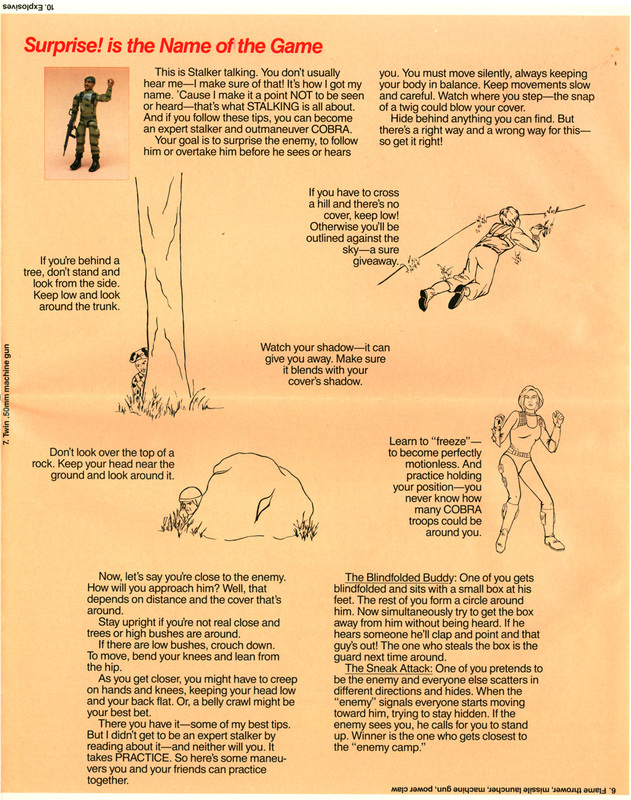 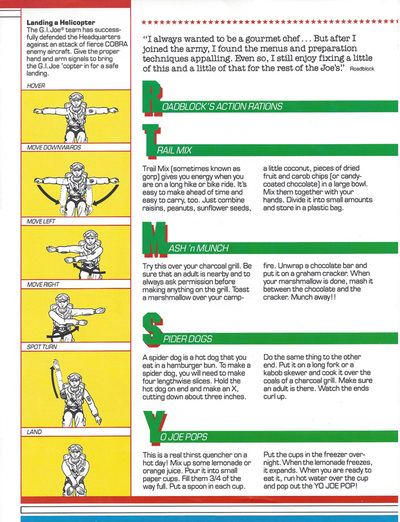 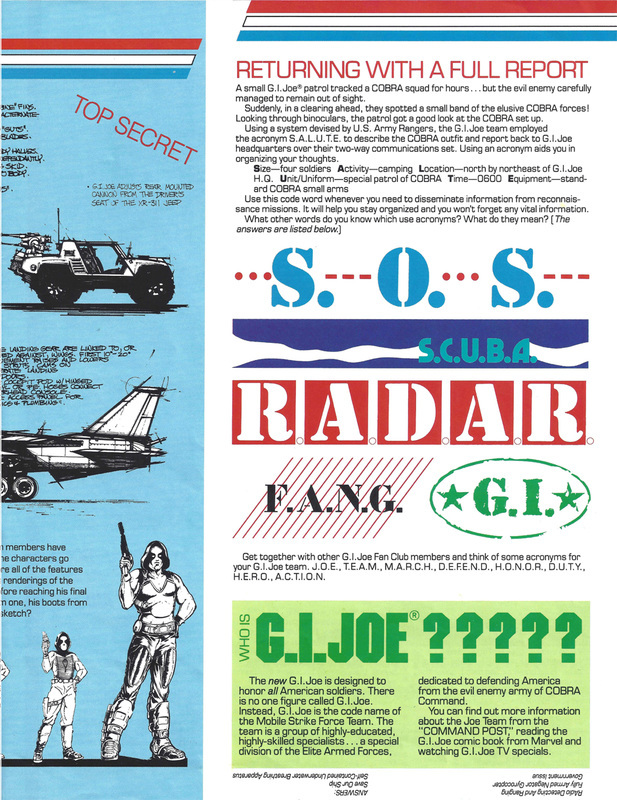 Written by Kirk Bozigian from 1982-1984, these newsletters are THE voice of G.I.Joe. 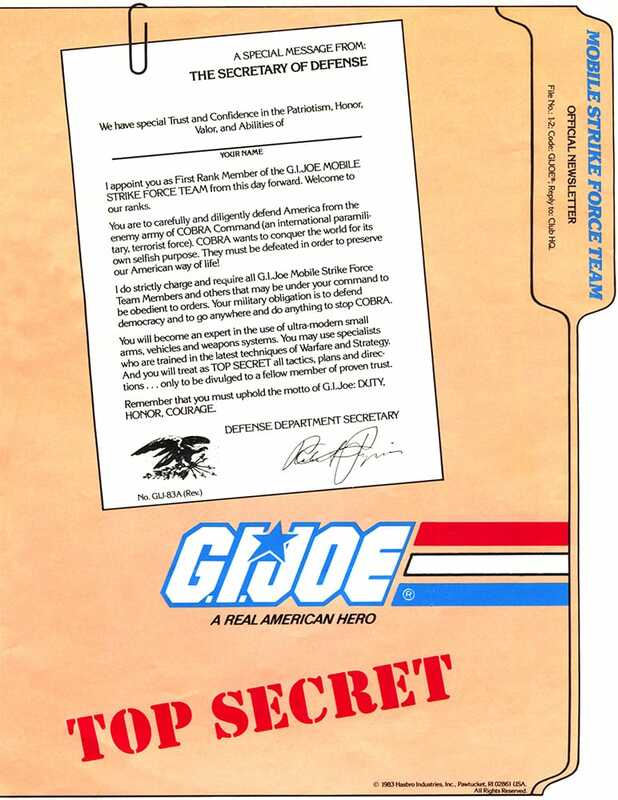 They are chock full of patriotism, valor, and good old-fashioned "diabolical marketing." They are also filled with physical fitness and anti smoking messages, great stuff for kids to hear from a brand they idolized. 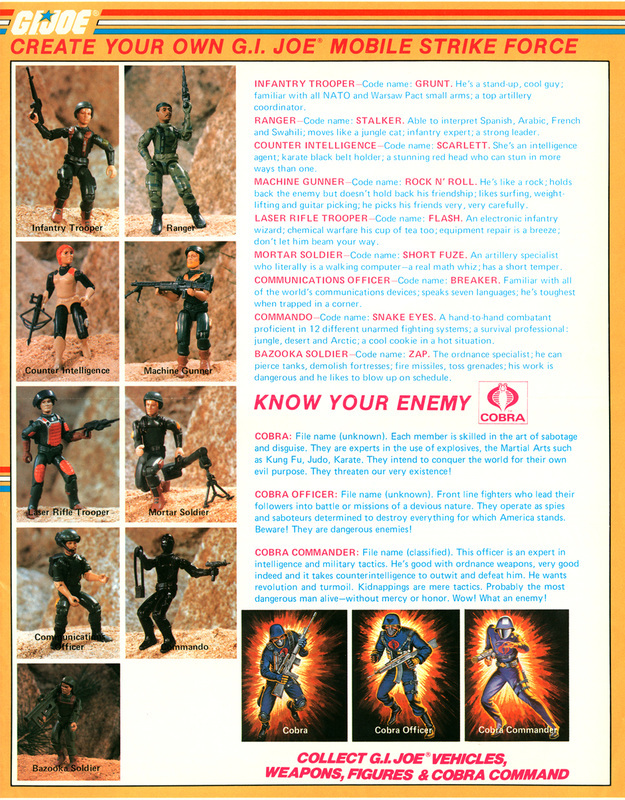 Comb through them carefully and you'll find tons of prototype toys and some pre-production artwork! 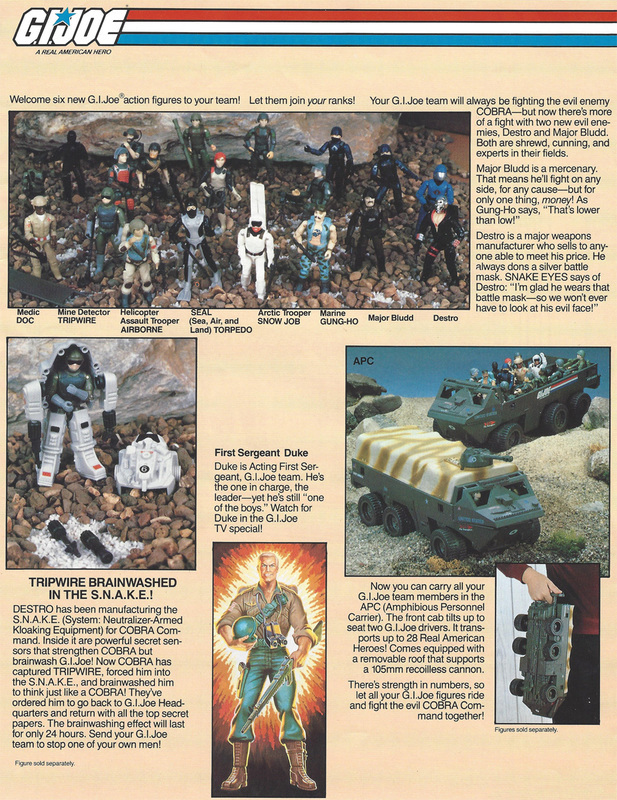 A HUGE thank you to Page and Greg Wagner and to Brian Kossin for sharing their collections with all of us. 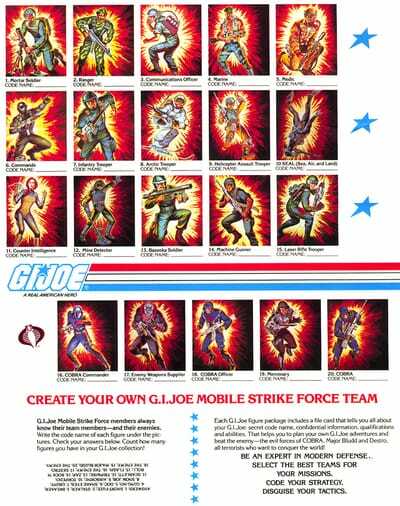 G.I.Joe Mobile Strike Force Team – introductory newsletter (1982) "File No. 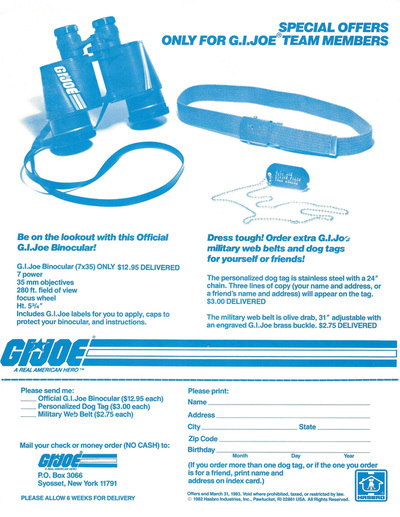 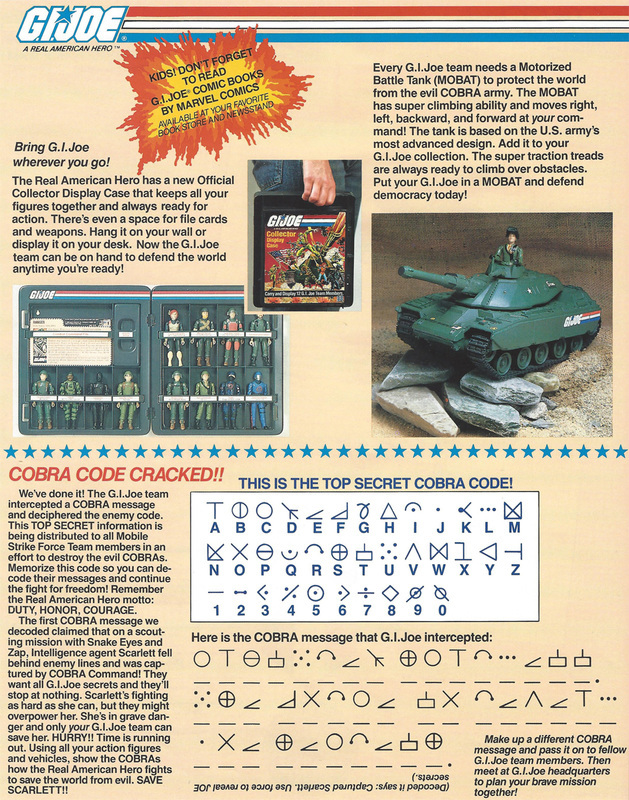 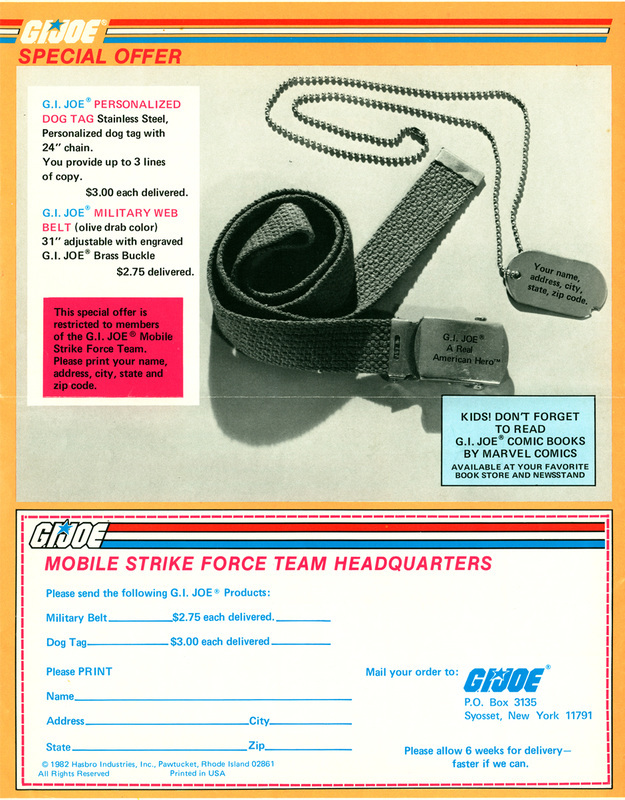 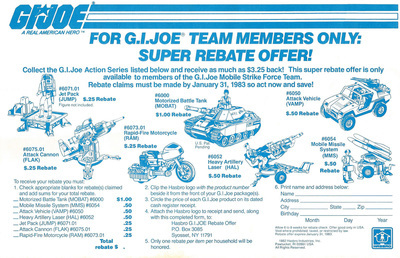 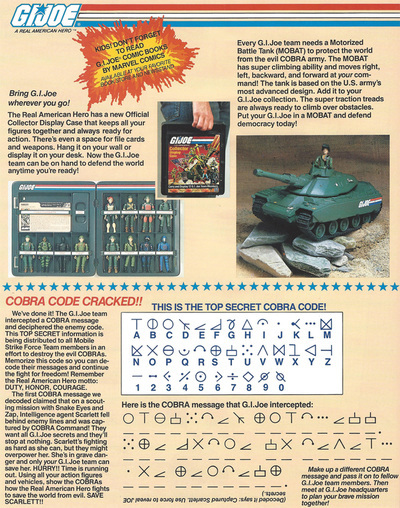 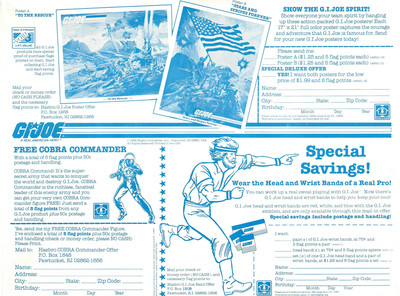 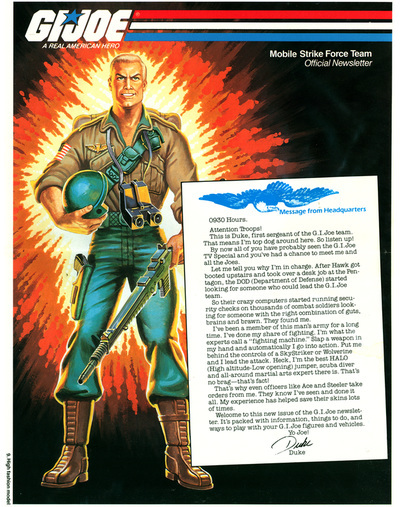 : 1-1"
The 1982 G.I.Joe Mobile Strike Force Team Blockbuster Membership Kit included a metal dog tag, belt with metal buckle, plastic Official Membership Card, iron-on logo, and this introductory newsletter. Visit the G.I.Joe Mobile Strike Force Team Blockbuster Membership Kit page to see these items. 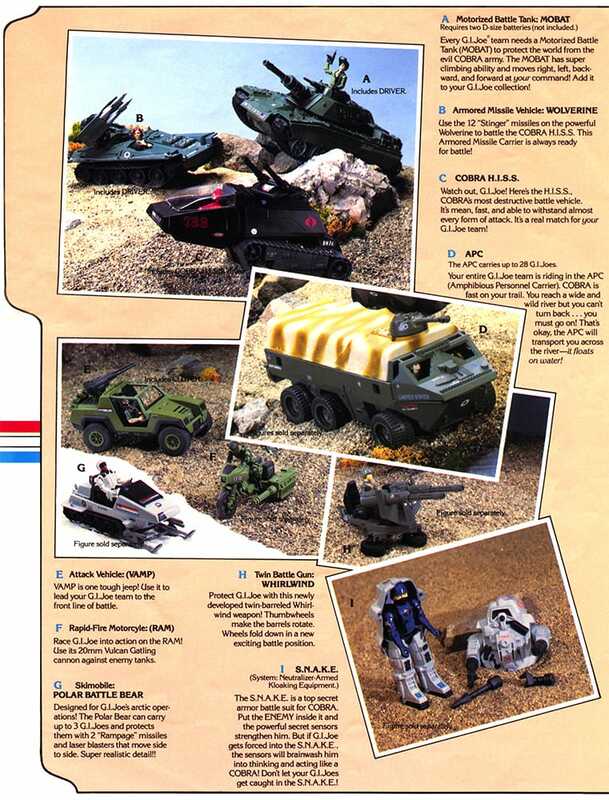 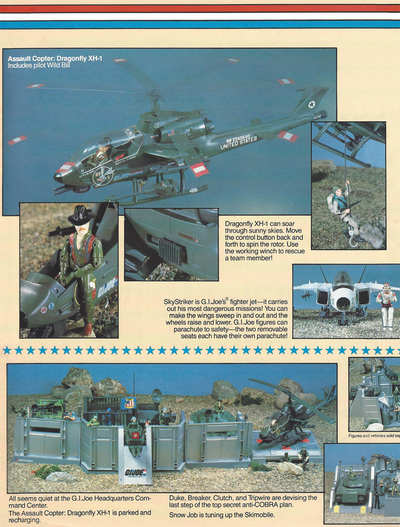 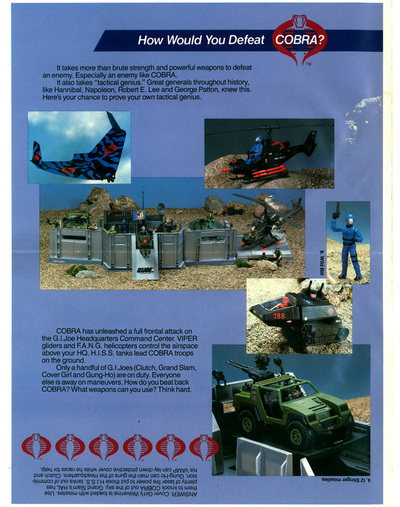 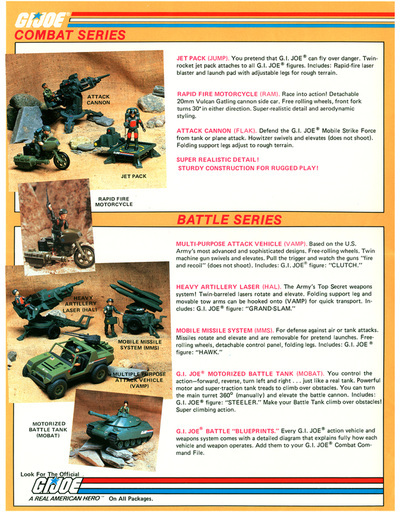 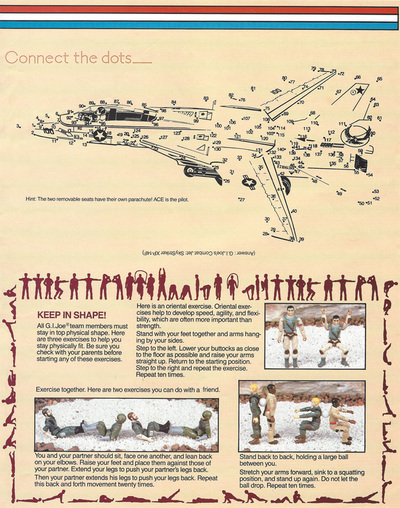 This newsletter introduced fans to the 1982 figures and vehicles. 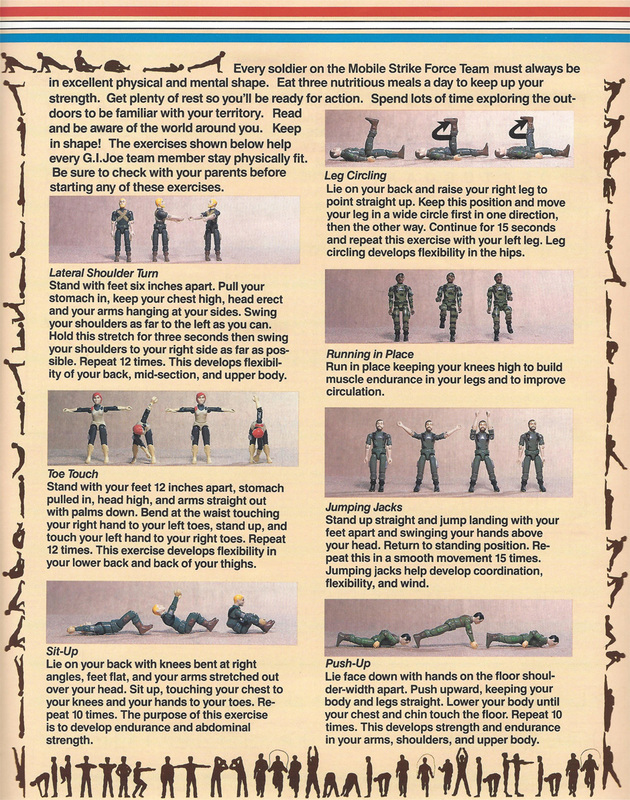 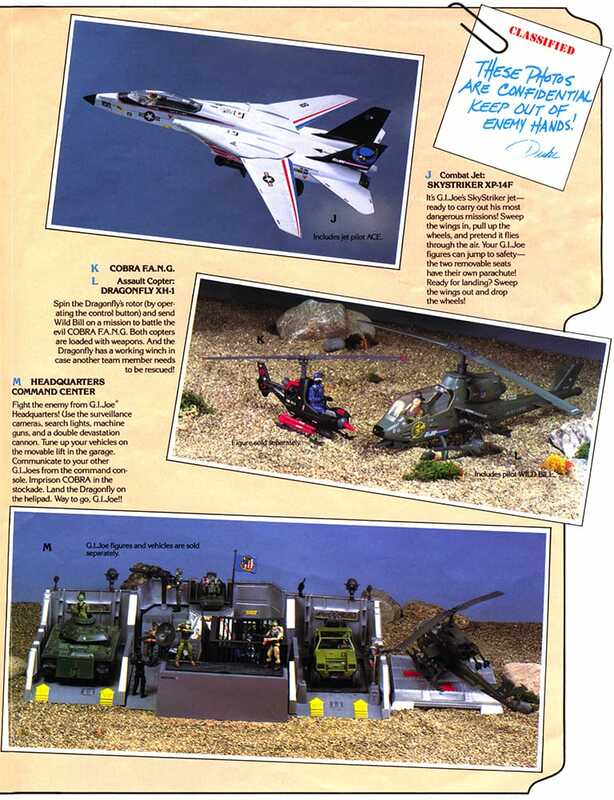 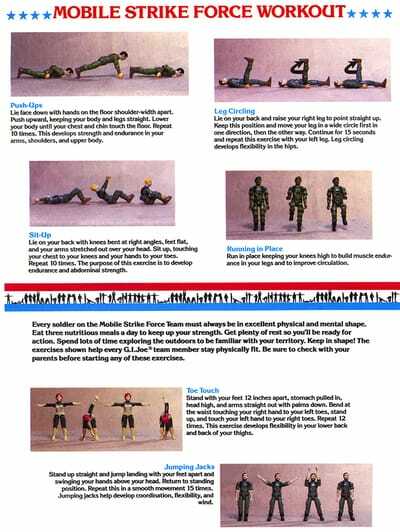 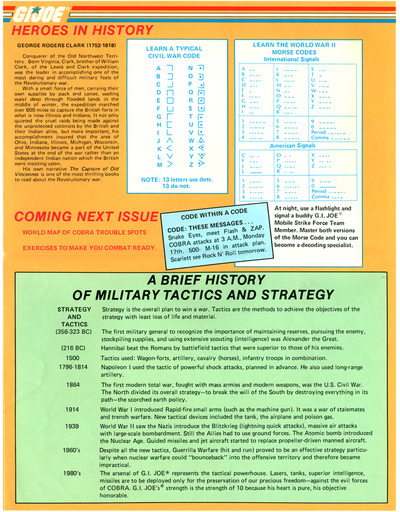 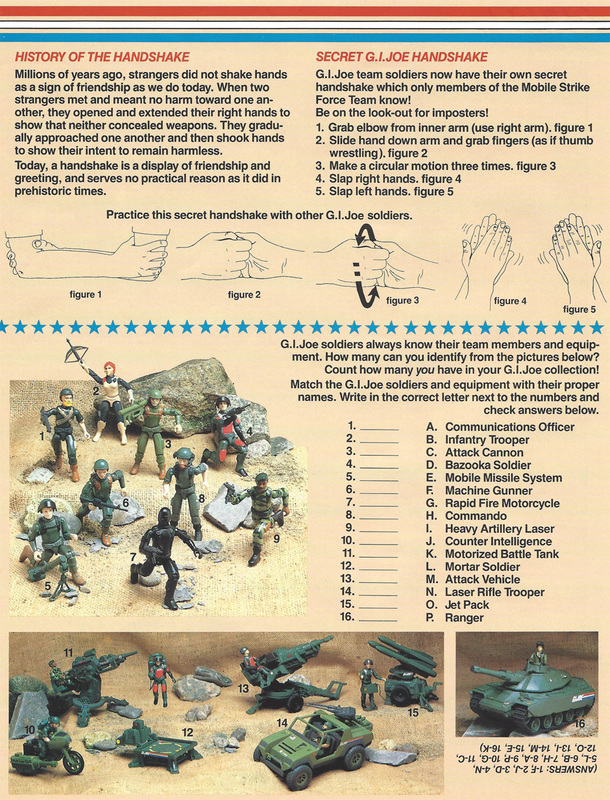 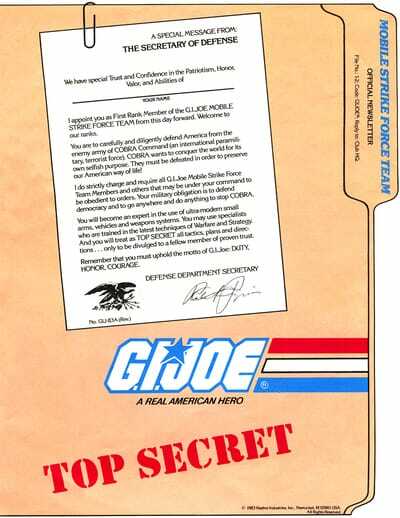 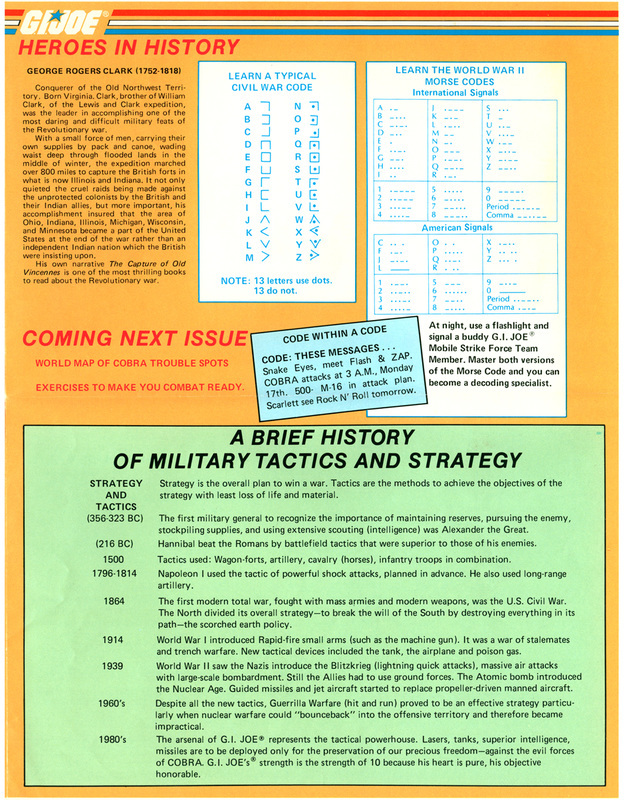 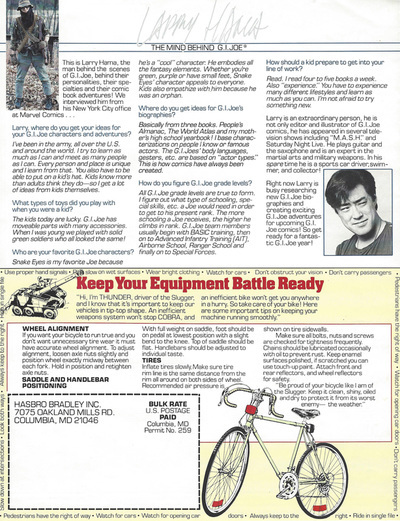 The G.I.Joe Mobile Strike Force Team introductory newsletter is a two sided trifold, with six pages of content. 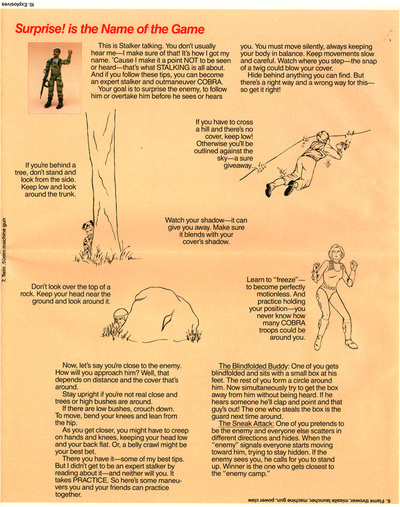 Newsletter courtesy of Brian Kossin. 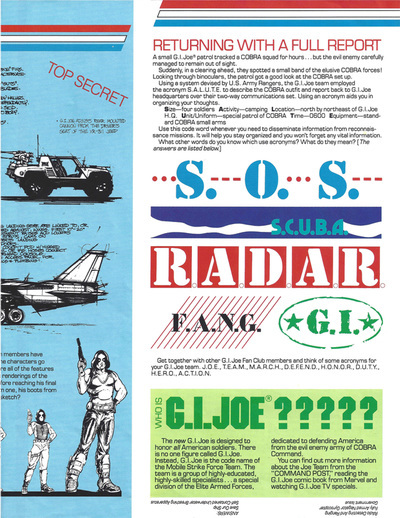 Check out his massive vintage G.I. Joe inventory at JoeParts.com! 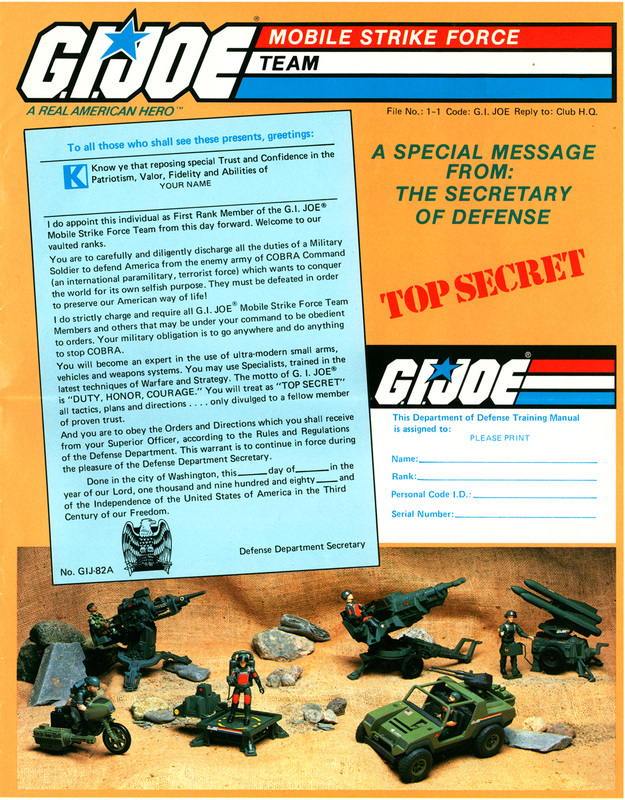 This newsletter featured the 1982 figures and vehicles and introduced fans to the 1982 Official Collector Display Case. 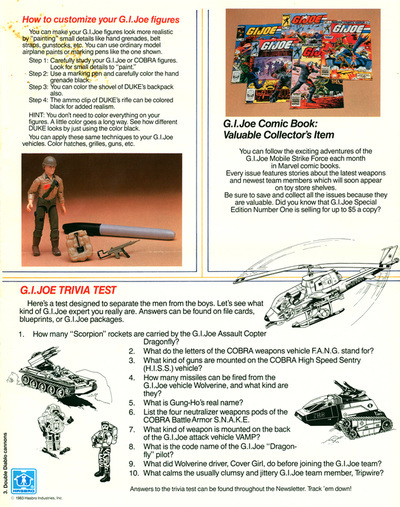 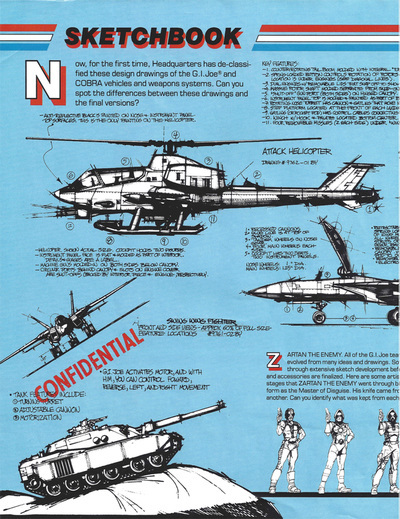 The G.I.Joe Mobile Strike Force Team Official Newsletter is a two sided trifold, with six pages of content. 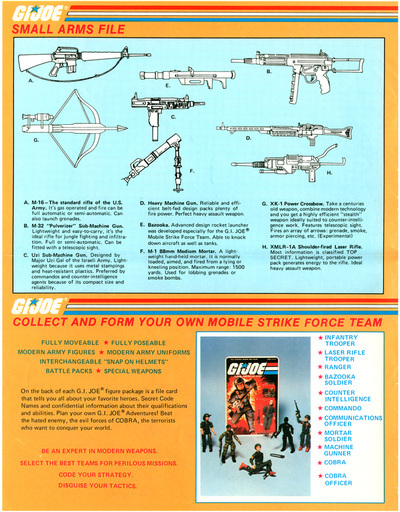 ​G.I.Joe Mobile Strike Force Team – Official Newsletter (1983) "File No. 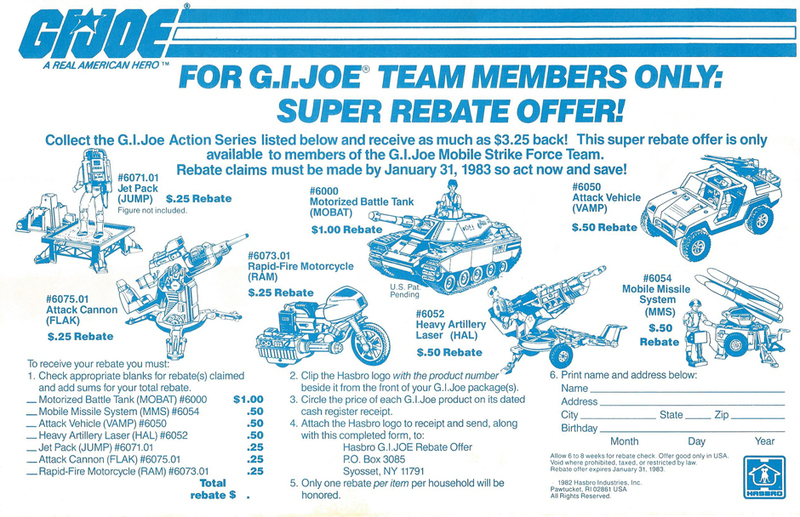 : 1-2"
This newsletter introduced fans to the 1983 figures and some of the 1983 vehicles. 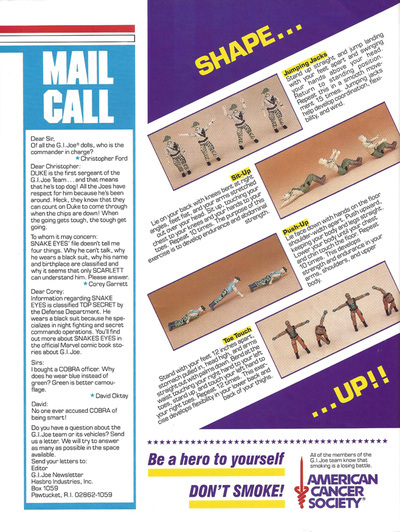 This newsletter introduced fans to the animated series, First Sergeant Duke, the PAC/RATs, the Cobra Viper and the G.I.Joe Falcon (gliders). 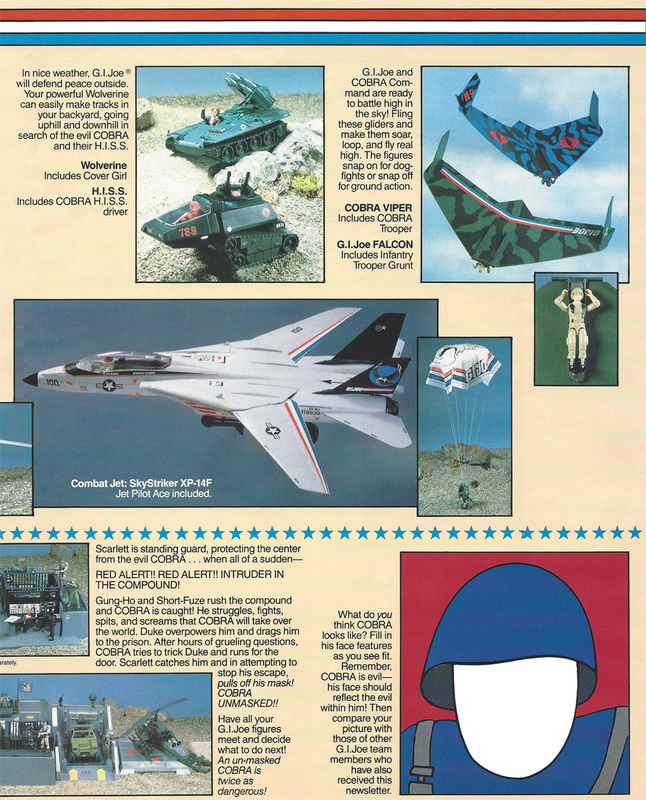 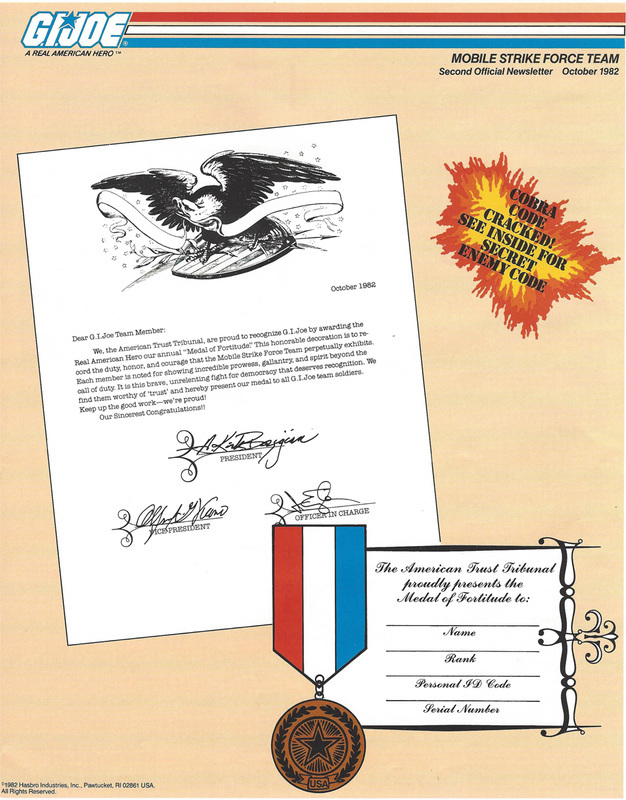 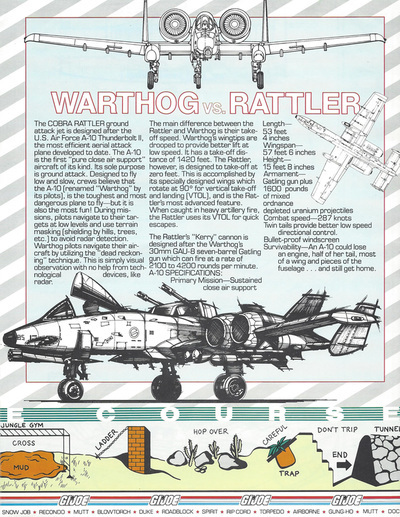 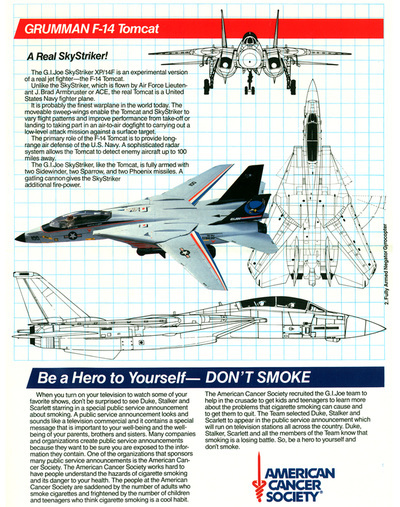 This newsletter introduced fans to customizing, comic collectability, patriotism and the F-14 Tomcat! 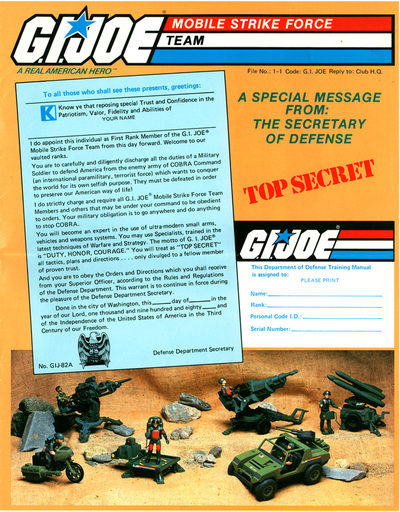 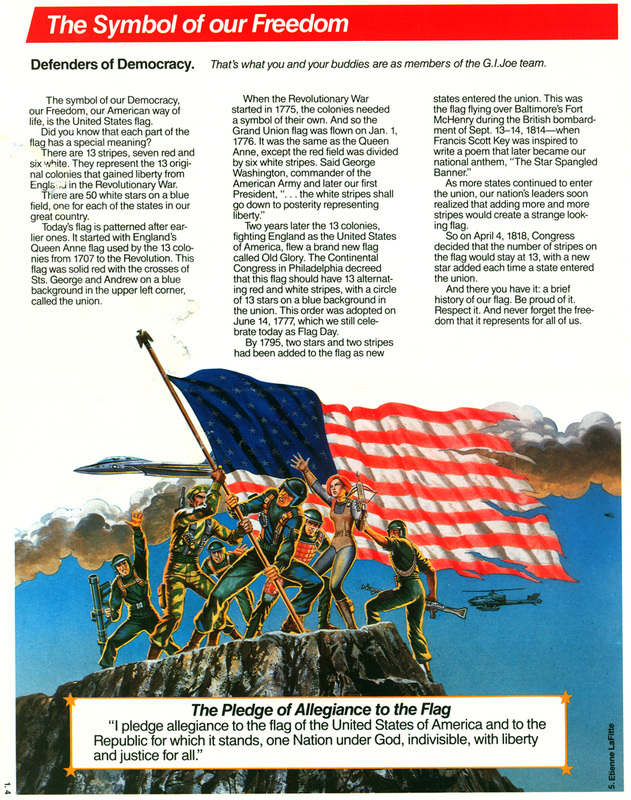 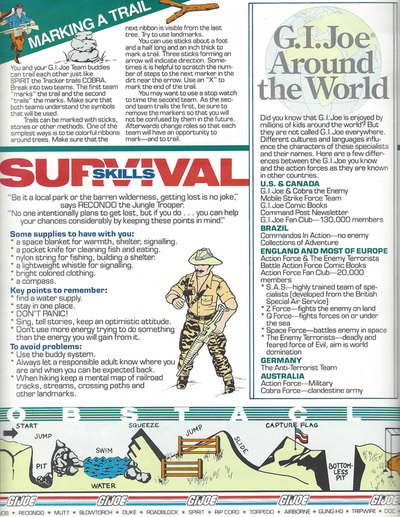 This newsletter continued the tone of the previous newsletter, focusing on outdoor activities, exercise, patriotism, and the making of G.I.Joe. 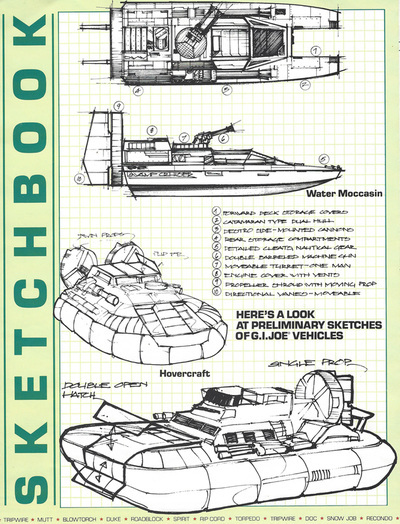 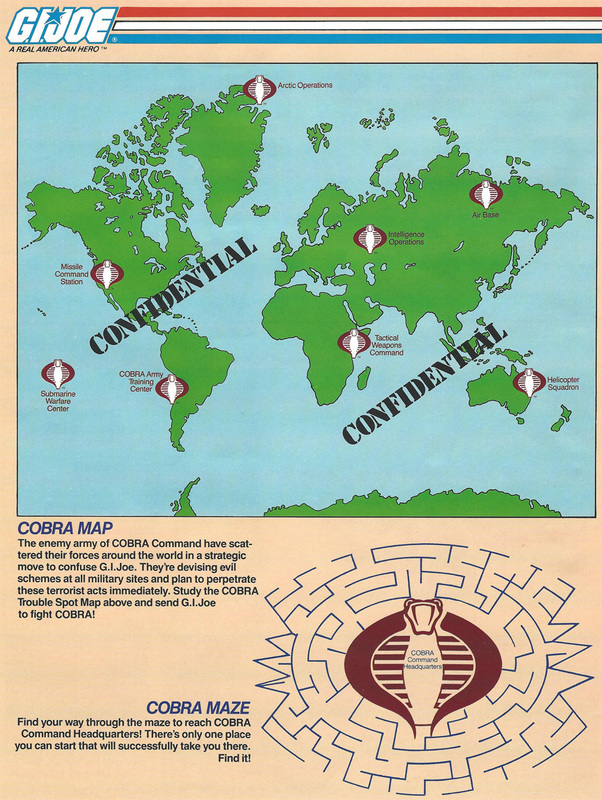 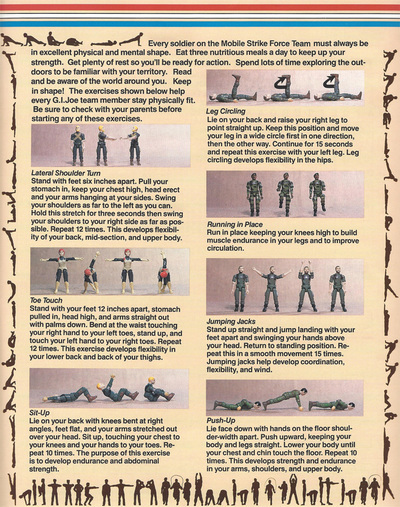 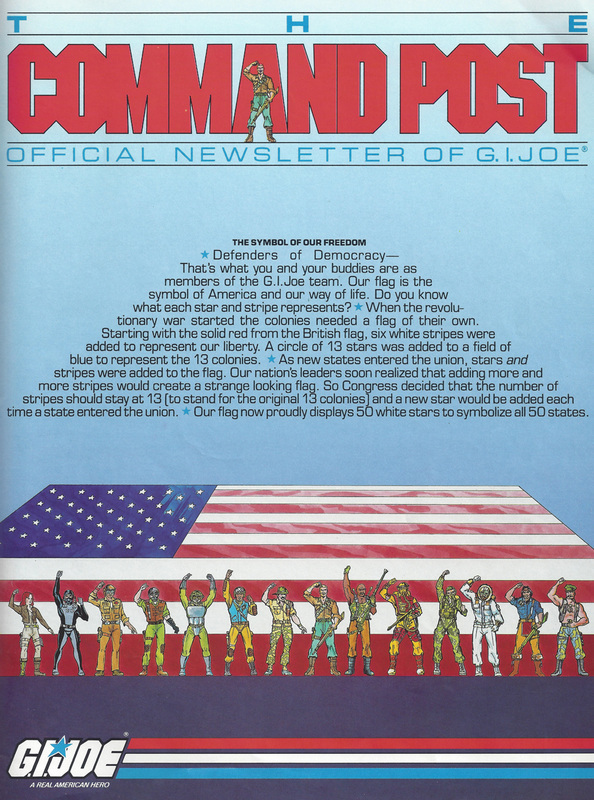 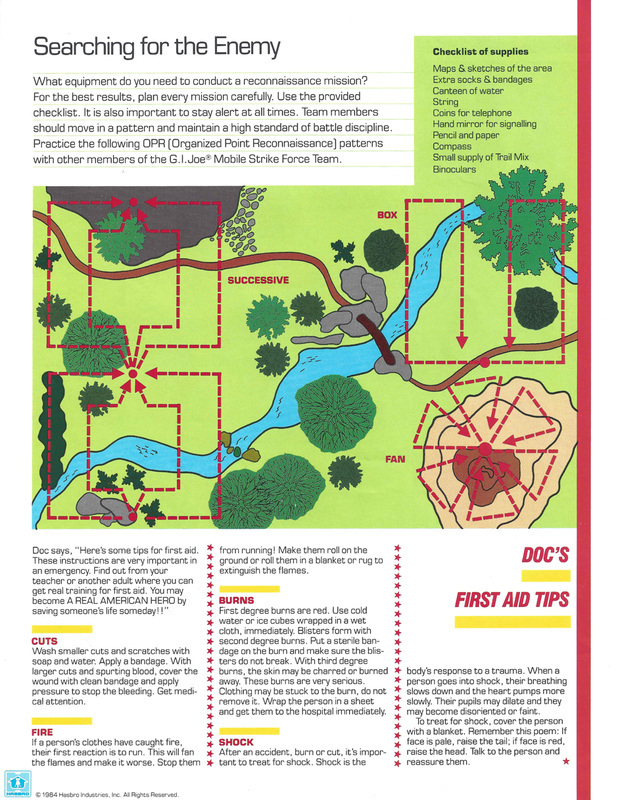 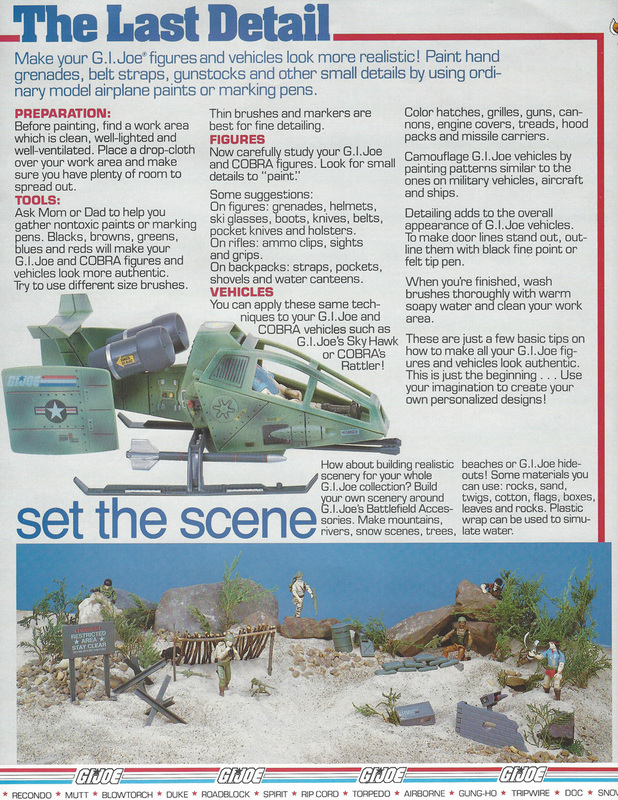 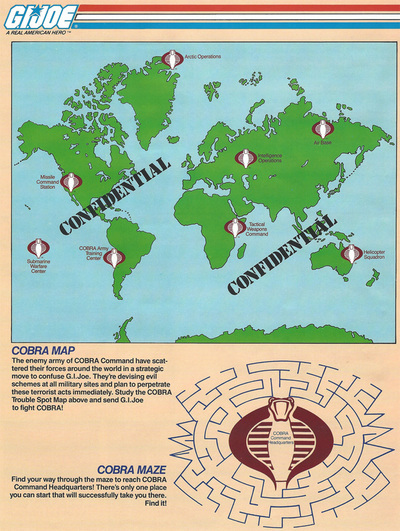 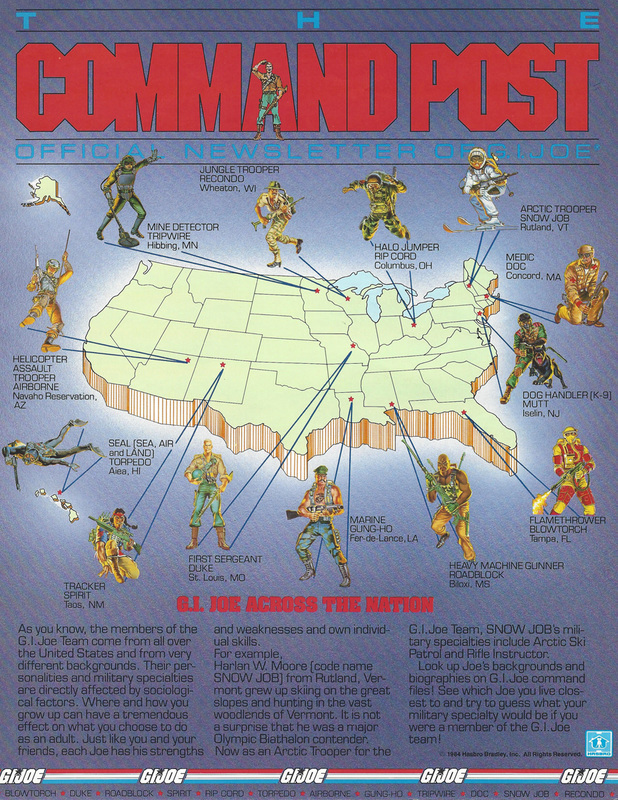 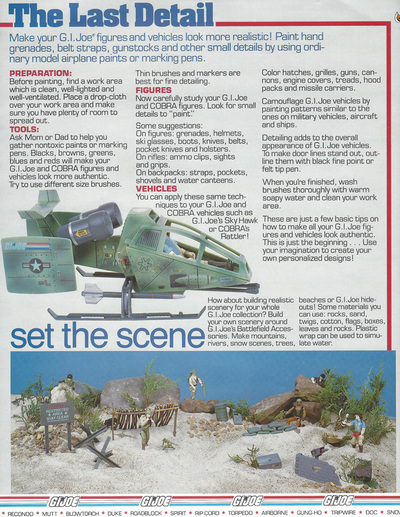 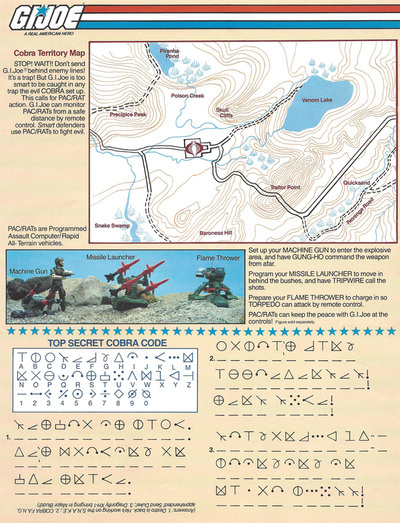 The Command Post: Official Newsletter of G.I.Joe is a two sided trifold, with six pages of content.